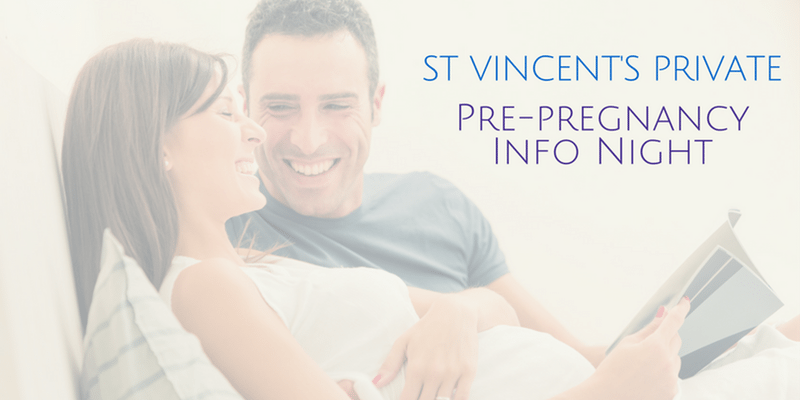 by St Vincent’s Private Hospital Melbourne, Child Birth Education Department. This Complimentary workshop is being offered to support all people considering starting or expanding their family. Planning for a family can seem overwhelming at times, come and join this information night to better prepare yourself before you begin your pregnancy and parenting journey. Hear from our Obstetricians, Financial Planner, Dietician and Midwife. Topics include health, diet and nutrition to maximise fertility, financial considerations and general advice. Also covered will be a tour of the hospital to showcase our maternity services. Please join us for an interactive and informative evening, a light super will be provided and a lovely gift bag with information and some resources. St Vincent’s Private Hospital, Melbourne.